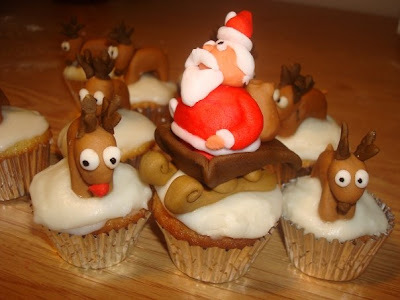 The Most Awesome Christmas Cupcakes Ever! These are the most creative, fun Christmas-themed cupcakes I have ever seen. I happened upon this flickr account by accident, but sometimes that's the best way! Hayley the Caker, you hereby win my first annual Most Awesome Christmas Cupcake Award. These are too adorable to eat!